Juli 2018 – Trust me I'm an engineer! I want a super small rig, to carry it around all the time. It should run for at least one working day (10 hours). It should be super cheap to build, since it is a commodity item and may get damaged regularly. I don’t want to spend to much time to care about software issues. It’s way to expensive! (~180 EUR inkl. tax, toll and shipping). I don’t need the display. After some work making a schematic and a board design, I simply ordered everything and tired to build it up. The board came as 3 in 1 panels, so I had so separate them first. The quality looks decent and it seems to have enough space for all components. 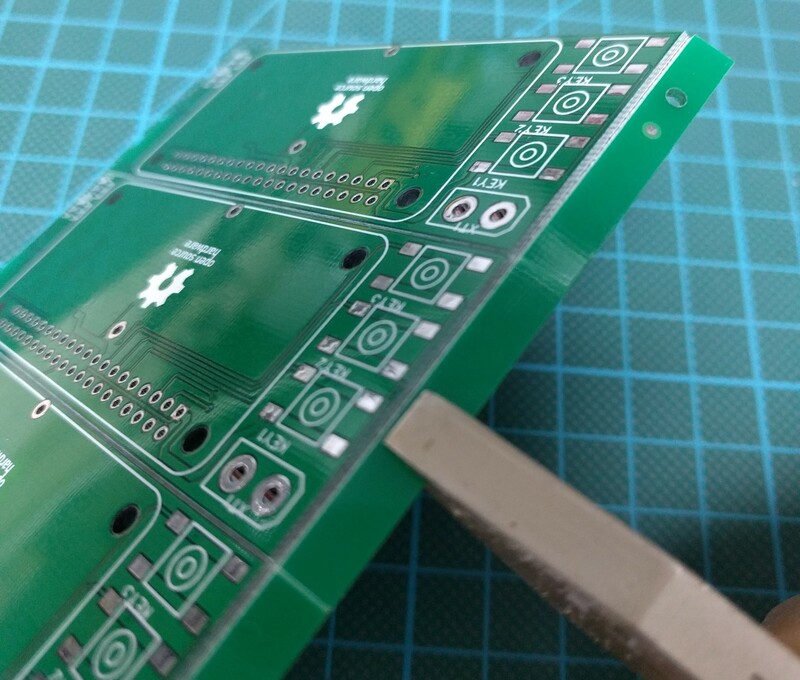 Motivated from this first success I started soldering. 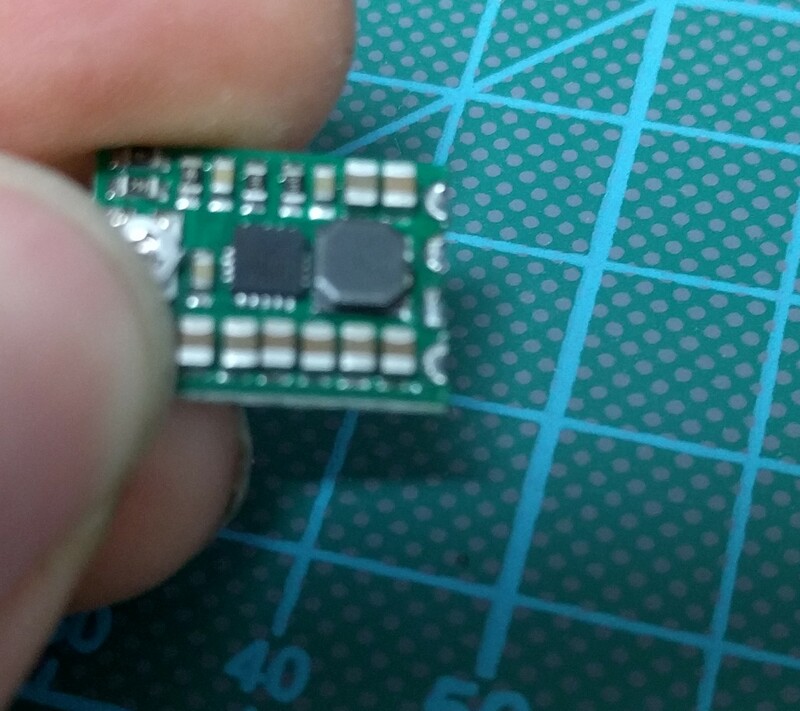 As one of my design goals was easy to build, I used 1206 SMD components, since they are pretty easy to solder but keep the design small. 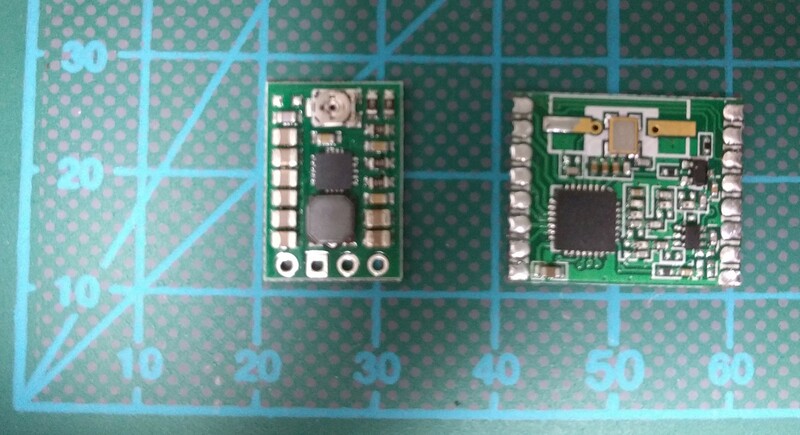 As power plug I used a XT40 connector, since I have a lot of 2S batteries from my drones (caution: the voltage regulator destroys itself and every other component on the board including the Pi0 if you put more voltage than 11V). 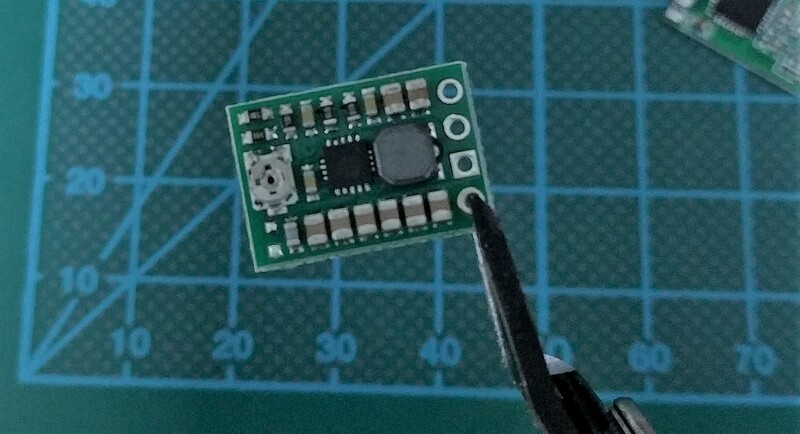 The RFM69 is place able as SMD component out of the box. For the voltage regulator I had to cut the board a bit, to be able to solder the through hole connections to my daughter board, but wasn’t any of an issue. 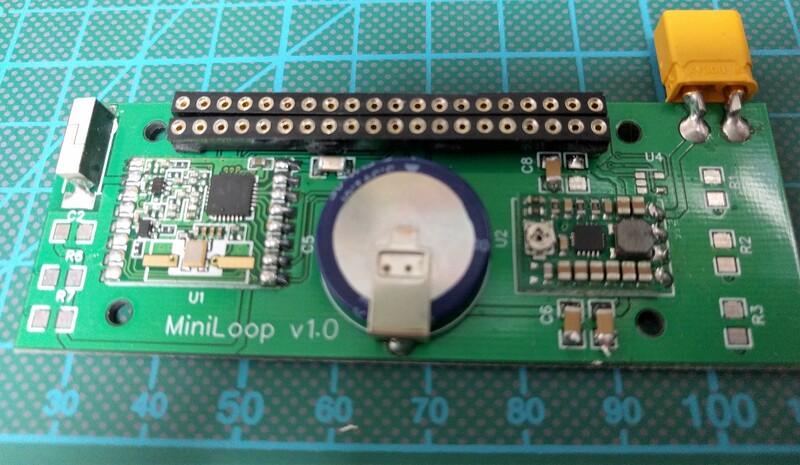 BTW: As minimal version, it’s enough to solder the voltage regulator, the radio board and a power plug along with some pin headers for the PI0. As Antenna a piece of wire with a length of 86 mm (for 868 MHz) is good enough. As always in my hardware projects, I had some issues while placing the components. 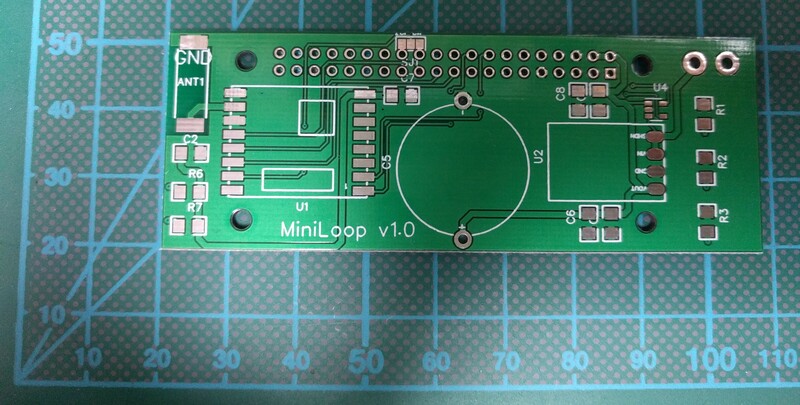 I figured, the SD-card slot is unreachable if I solder the buttons and the Pi und the bottom layer. To fix this, I put the Pi0 on the upper layer. The result isn’t as thin as it was supposed to be, but still ok (and still thinner as the Explorer HAT 😀 ). For now, it’s good enough as development platform and for testing. When the main problems are solved and the software is ported, maybe I’ll update the design to match the original design goals. One word on software support: Since the OpenAPS usually uses a different (and lot more expensive) radio device, the RFM69 is not supported out of the box. At the current time, it’s possible to run this board with the oref0 version 0.7.0-dev, if the corresponding communication programs (programmed in GO-lang) are compiled with the tag „-tags rfm69“. 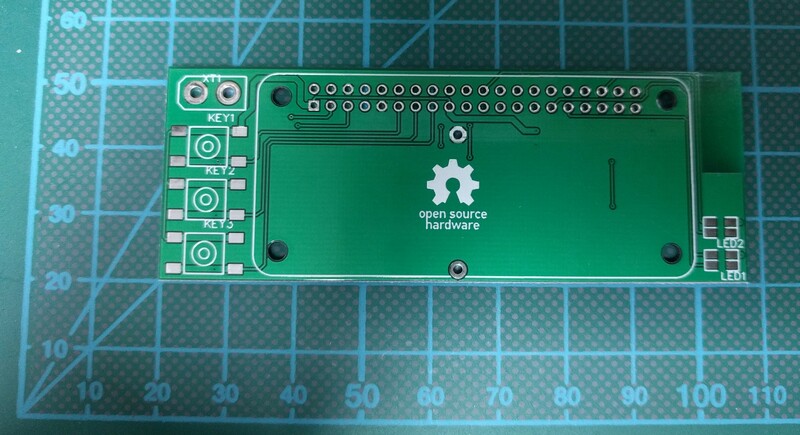 More information about this is shown on github. I’ll work on this and write an update when the software is full compatible.